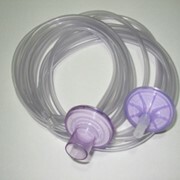 Manufactured from medical grade PVC, the APS Medical Oxygen Supply Tube is supplied in a range of standard cut lengths, each length fitted with soft, push-on connectors at both ends. 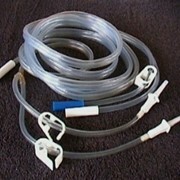 The connectors adapt to a variety of associated items such as nasal cannulas, masks and supply fittings. 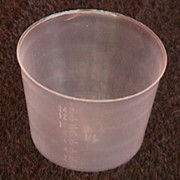 The tube is sized at a nominal 4mm inside diameter and 5.8mm outside diameter and is available in a standard smooth lumen or a star lumen, crush resistant construction. 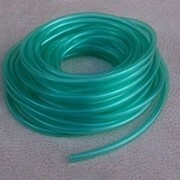 The standard tube is pale green in colour, the option of a clear tube is also available. 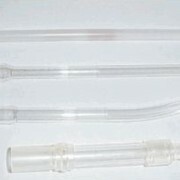 Each tube is enclosed in a pe bag with multiple tubes in an outer carton. Standard cut lengths are : 2 metre, 2.15m, 3m, 4.5m and 6m. 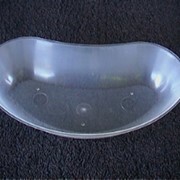 Custom cut lengths are available to order. 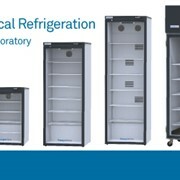 The product code has the style : OT for Oxygen Tube followed by the length (2) in metres and a suffix if applicable. 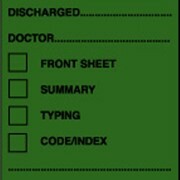 The suffix "C" is added to indicate a clear, natural colour tube while "S" indicates a star lumen type tube. Typically: OT2 is a green oxygen tube, 2 metres long with smooth lumen, OT2C is a clear oxygen tube, 2 metres long with smooth lumen, OT2S is a green oxygen tube, 2 metres long with star lumen. 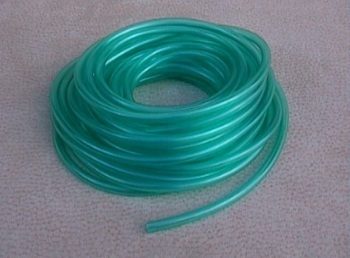 Manufactured from Medical grade pvc, the tube is supplied in continuous rolls with no end connectors. 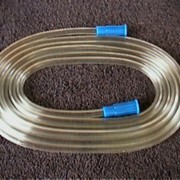 The tube is available in rolls of 10m and 30m and is sized at a nominal 5mm inside diameter by 7.4mm outside diameter. 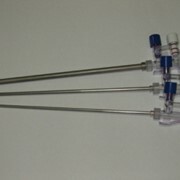 A bubble tube is also available in a 30m roll; the nominal tube dimensions are 3.7mm inside by 5.5mm outside diameters for the straight tube and a maximum 7mm inside by 11mm outside diameters for the bubble. 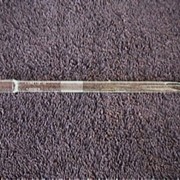 The bubble is provided at 1metre intervals along the tube. 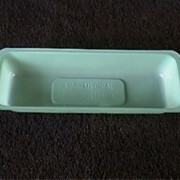 Standard, the tube is provided in pale green; clear or other colours are available to order. The 10m rolls are individually bagged and packed 30 rolls to a carton, the 30m and 30m bubble rolls are individually boxed and packed 10 to a carton.